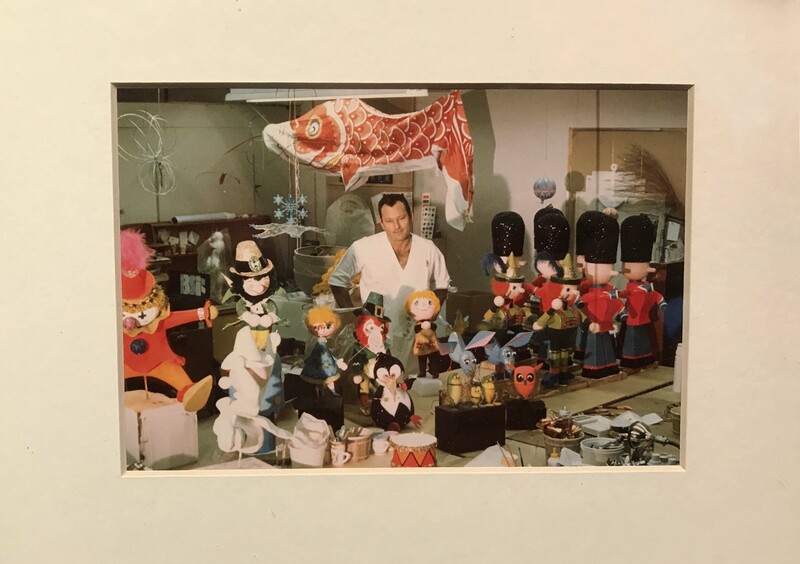 Walt Disney was walking through an exhibit of artwork by Rolly Crump when he reassigned him from the animation department to the group working on Disneyland. 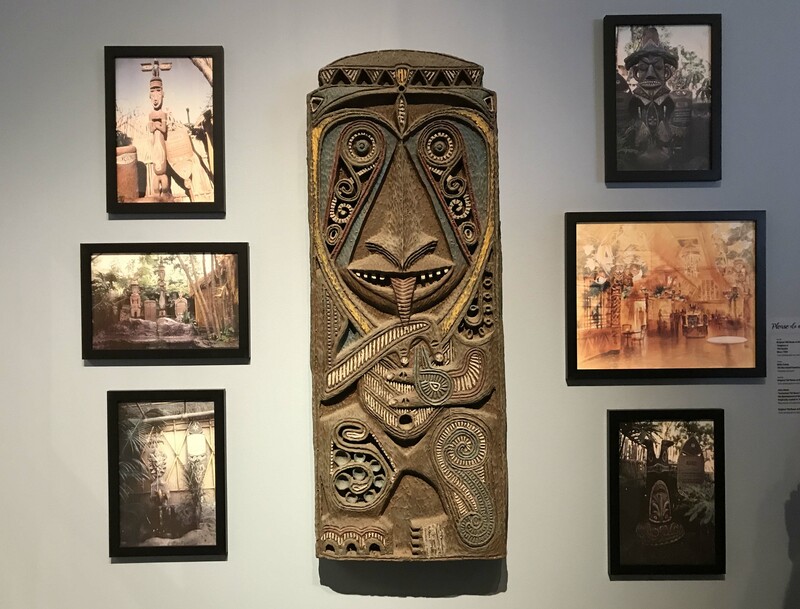 The eccentric concepts and designs he created for It’s a Small World, Walt Disney’s Enchanted Tiki Room, and the Haunted Mansion have endured for decades as pop culture landmarks. 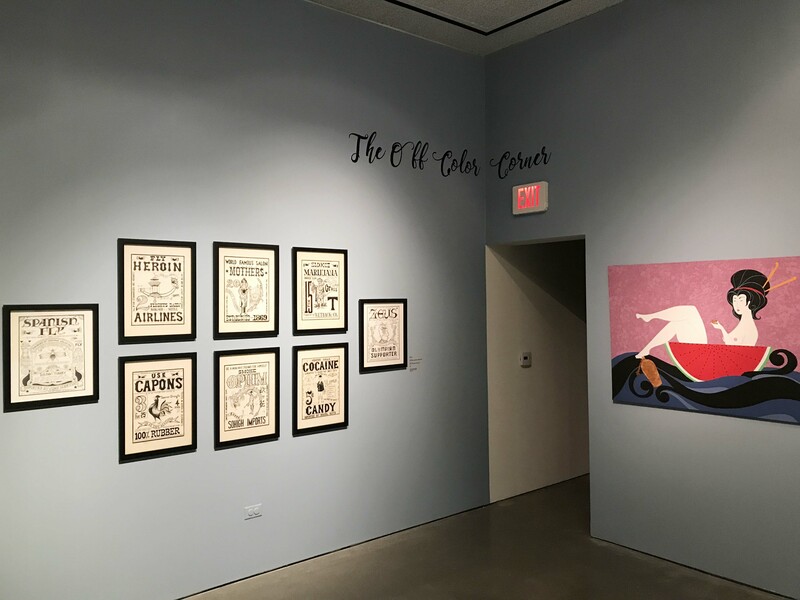 A new exhibit at the Oceanside Museum of Art brings us inside Crump’s whimsical world. 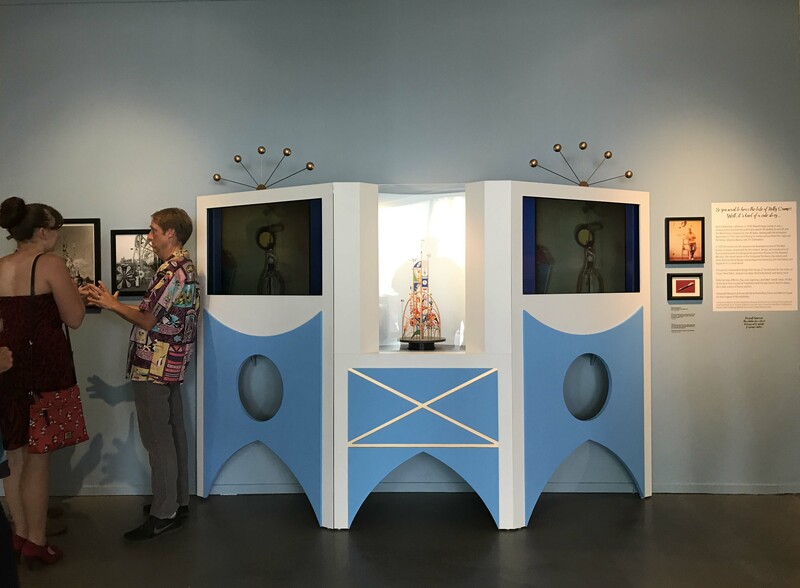 Most of the objects in the show come from the 87-year-old designer’s personal collection and were brought together by art book publisher (the catalog for this show is available on Kickstarter) Bob Self. 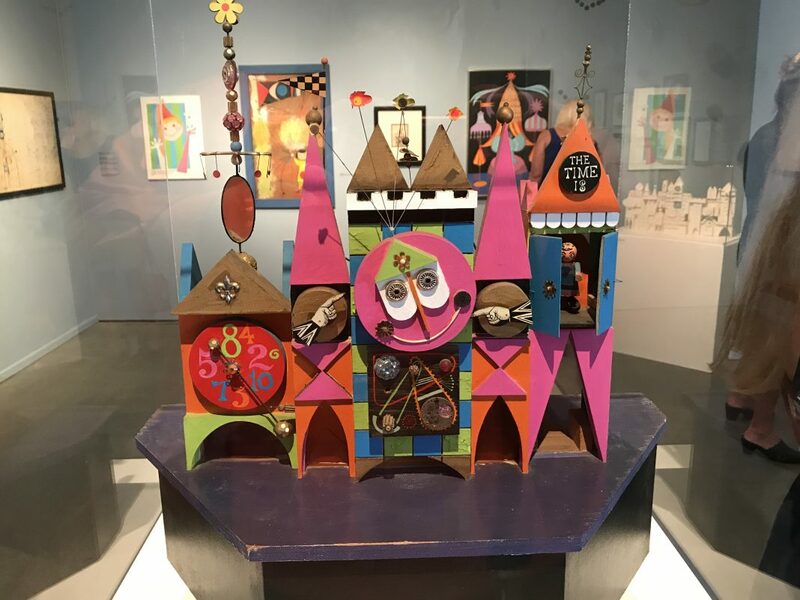 Automaton maker Thomas Kuntz realized Crump’s outrageous design for a haunted gypsy wagon–part of his original concept for the Museum of the Weird, which evolved into Disneyland’s Haunted Mansion. 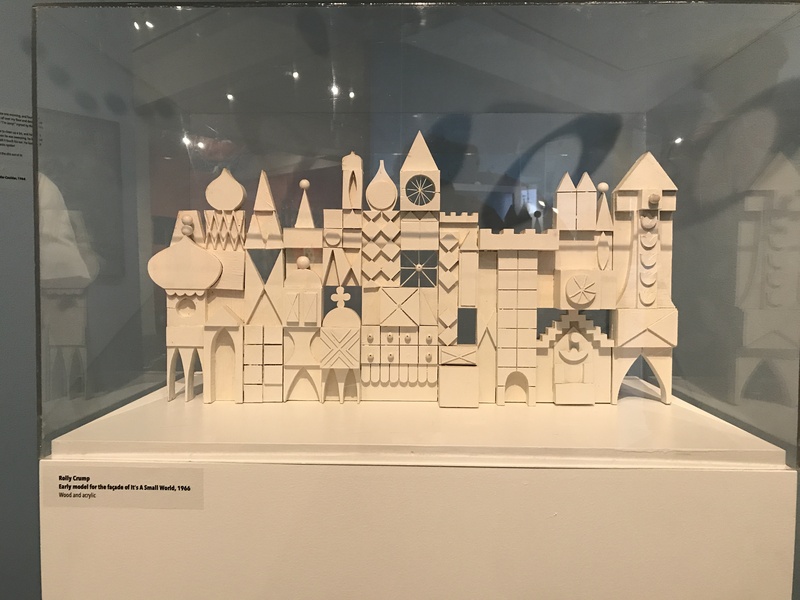 When It’s a Small World debuted at the 1964 New York World’s Fair, it was paired with a spectacular kinetic sculpture almost as tall as Disneyland’s Matterhorn that Crump called the Tower of the Four Winds. 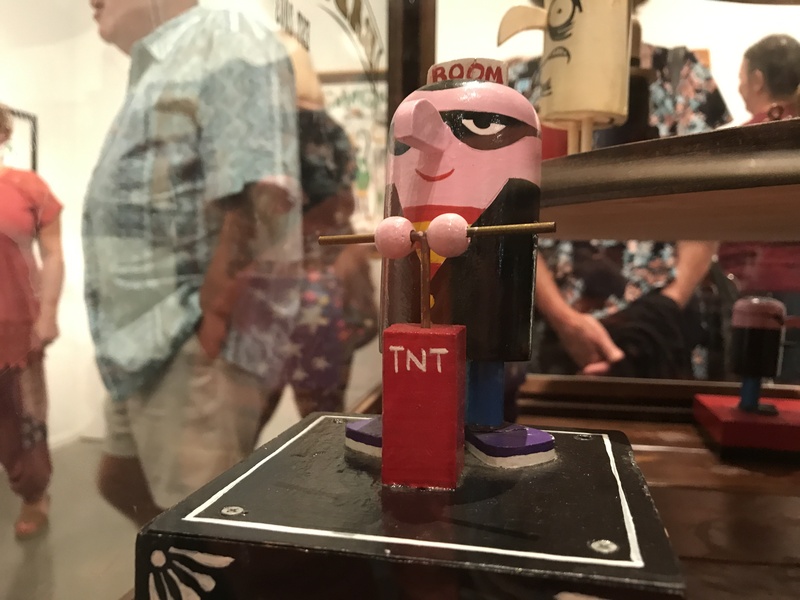 The original was destroyed, but Crump’s son Chris, who is also a designer, crafted a working miniature that is the centerpiece of the show. 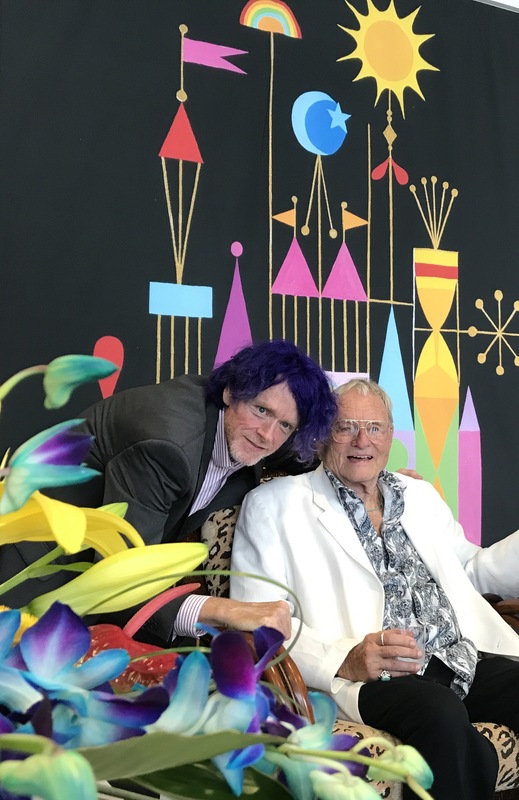 Rolly Crump has been dreaming up fantastical creations since he was a kid in Alhambra in the 1930s, and a huge crowd turned out for the Saturday opening to thank him. How many millions have been enchanted by his work at Disneyland? 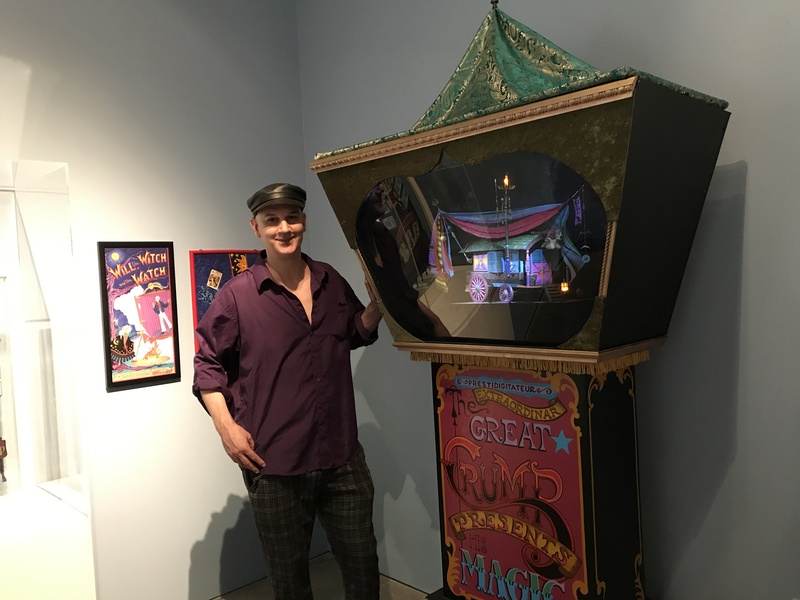 Curator Self told an audience gathered at the exhibit’s opening how the façade of “It’s a Small World” inspired him. “As a child watching those clocks tick away the seconds in that magical place was stunning to me,” Self said. “And to think that someday I’d be standing beside the man who was responsible for them…with how many clock ticks between now and then?” Go before the clock runs out on this show February 18.